We love our beautiful Dahlia Flower and Name personalized monogram! Our wall decals are ideal for bedrooms, offices, living rooms, entryways, classrooms, even your car, bathtub or glass shower doors! This Dahlia Flower Monogram measures 22 inches in diameter. The name will measure 22 inches wide by the proportionate height. 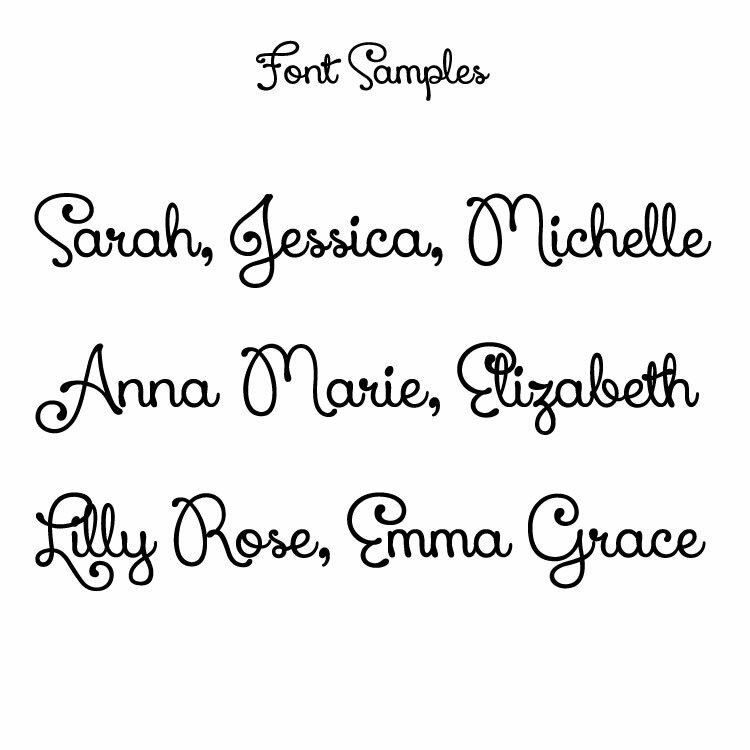 You can order up to 2 names, and they'll be made 22 inches wide total combined. 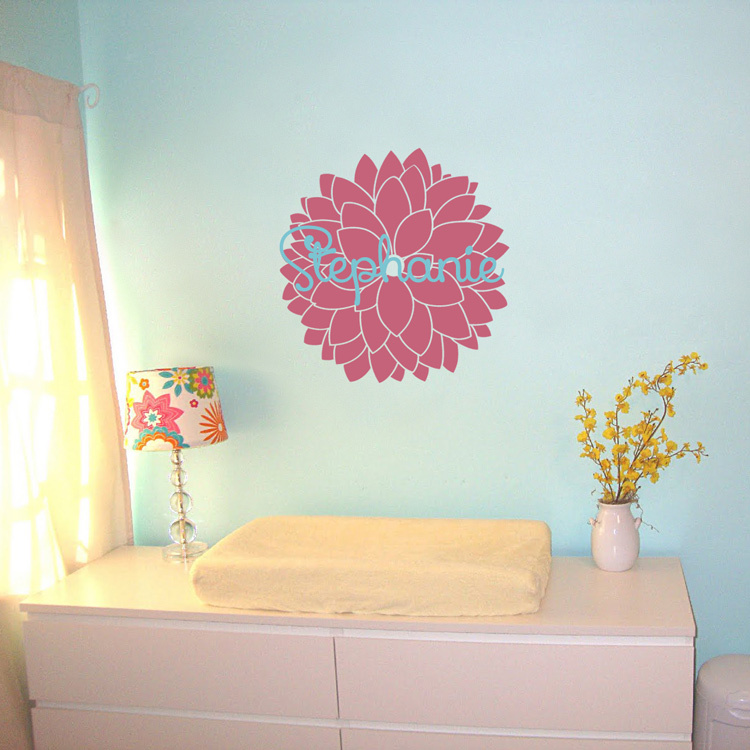 This Dahlia Flower and Name wall decal will come in two pieces; the flower and the name; so that you can place the name however you choose! I received a beautiful branch with birds as a housewarming gift. It is extremely beautiful, tasteful, artistic and very high quality. It transformed my room immediately. I searched other websites but there is just no comparison in prices, design, customer service and quality. If they keep their good prices, I am looking forward to redecorating my whole house! !